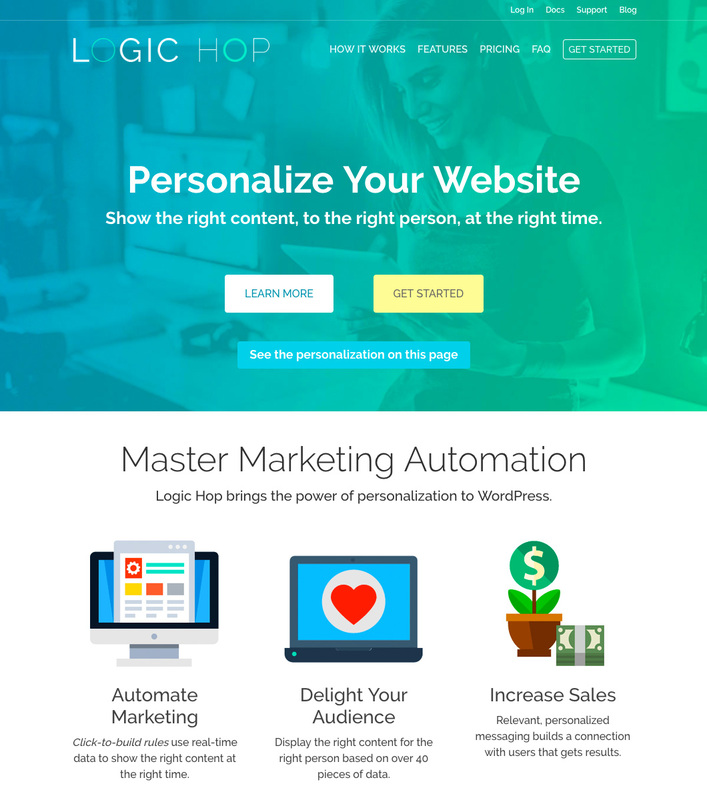 Logic Hop brings the power of personalization to WordPress. 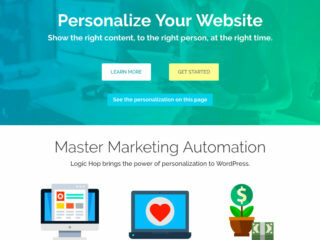 Developed and operated by Pomp Productions, Logic Hop is a premium SaaS used by customers around the world to provide intelligent marketing automation for WordPress-powered websites. 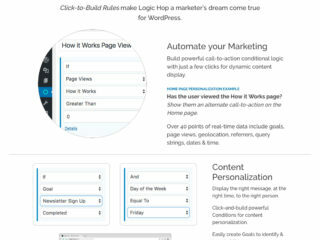 Fully integrated into the WordPress platform, Logic Hop makes it easy for customers to build complex logic conditions that use real-time data to customize website content. Showing the right content, to the right person, at the right time dramatically increases conversions and engages both new and existing customers. Logic Hop provides over 40 points of data including geo-location, referrals, query strings and on-site actions. Real-time goals can be triggered to store detailed user behaviors and display relevant content for current and future site visits. A robust platform, Logic Hop includes integrations for popular services including Google Analytics, ConvertKit and Drip.